Check out this gently-used 2017 Toyota Tacoma we recently got in. CARFAX BuyBack Guarantee is reassurance that any major issues with this vehicle will show on CARFAX report. At home in the country and in the city, this 2017 4WD Toyota Tacoma SR5 has been wonderfully refined to handle any occasion. Smooth steering, superior acceleration and a supple ride are just a few of its qualities. Exceptional in every sense of the word, this incredibly low mileage vehicle is one of a kind. The Tacoma competes with other compact pickup trucks such as the Chevrolet Colorado and the Nissan Frontier. However, neither of these competitors has the reputation of Toyota. Unlike full-sized trucks, the Tacoma is small enough to make sense in both urban and suburban environments. The Tacoma can maneuver nimbly in tight parking lots, and its turning radius is kept reasonable. At the same time, the Toyota offers the kind of utility that compact SUVs can only dream of. With a broad range of customization options, the Tacoma offers a surprisingly amount of comfort, and even gives owners the kind of interior space normally found in sedans. The Tacoma is truly a do-everything vehicle. This 2016 GMC Sierra 3500HD Denali is offered to you for sale by Kendall Honda Acura. Drive home in your new pre-owned vehicle with the knowledge you're fully backed by the CARFAX Buyback Guarantee. For those who are ready to drive something more than just a car, this GMC Sierra 3500HD Denali will appeal to their idea of luxury and refinement. Taking the road less traveled has never been more fun than with this 4WD. With improved performance, mileage and acceleration, this 2016 4WD GMC Sierra 3500HD Denali is king of the off-road. You've found the one you've been looking for. Your dream car. Are you looking for something to pull that new fishing boat, horse trailer, or toy hauler, but a new trucks doesn’t quite fit in the budget? Shop our inventory of used trucks in Eugene at Kendall Acura. Our used truck dealership has a selection of used trucks for sale and we’re sure to have a used pickup truck that fits your needs and budget. If you don’t see what you’re looking for, let our friendly sales team know and we’ll help you track it down. Feel free to shop our available used SUVs for sale as well. Contact us online or visit us at 344 Goodpasture Island Rd. Eugene, Oregon 97401 to shop our inventory of used trucks. We also serve the Florence, Junction City, and Springfield areas. 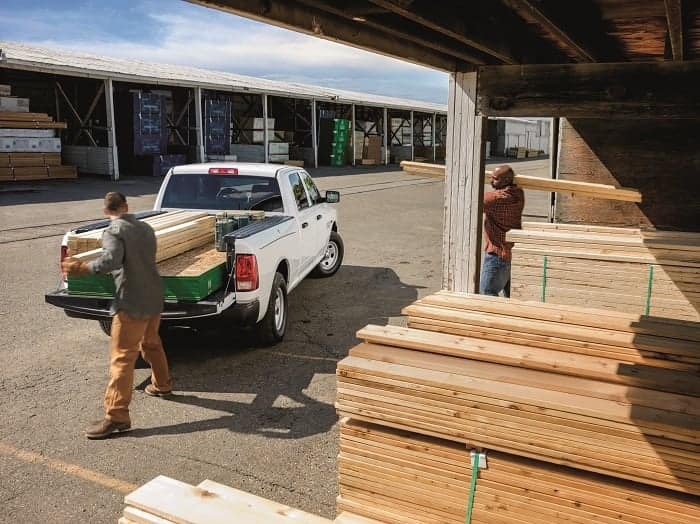 When you shop our catalog of used trucks for sale in Eugene, we can help you find the style and size of truck that you’re looking for. From heavy duty trucks down to midsize trucks, our used truck dealership offers trucks from a variety of automakers that include 4×4 trucks. We’ve also got you covered with a selection of diesel trucks if you need some extra payload and towing capacity for those tough jobs. After you browse our inventory of used trucks, be sure to pay a visit to our Acura Finance Center. You can save time before you get here and start on the financing process by filling out our online finance application. Our financial experts can also help you get pre-approved for a Eugene auto loan and value your trade with a free car appraisal. No matter what kind of used truck you’re in the searching for, Kendall Acura is the used truck dealer that has something to fit your budget. Come by and let us help you find your next used truck today.